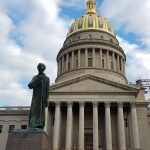 A week ago, the West Virginia Supreme Court of Appeals approved a PSC order that passed on to WV utility customers the $800 million dollar cost of the Harrison power plant. This cost included a markup of $257 million over the assessed value of the plant when acquired by First Energy in 2010 as part of its merger with Allegheny Energy. Page one of the PSC order upheld by the WV Supreme Court claimed the net impact of the 2013 sale of the Harrison Plant (from one of First Energy’s Ohio holdings to its Mon Power WV subsidiary) would be a $16 million Decrease in consumer’s electric rates. One week after getting the Court’s approval, Mon Power now wants to increase its rates by $96 MILLION. This is a $112 Million spread from the Decrease promised in the PSC’S October 12, 2013 order. “Will this company EVER stop piling on more and more costs to consumers? 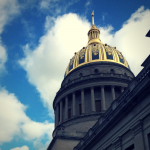 West Virginians have been promised low cost electric power, but MON Power only delivers rate hikes and higher electric bills,” said Gary Zuckett Executive Director of WV Citizen Action Group. “The PSC promised decreases to consumers and now, lo and behold, we are instead looking at a rate increase. As a part of the settlement for purchasing the Harrison plant, Mon Power agreed to increase energy efficiency programs, but has not yet begun providing free home energy assessments for consumers, as Appalachian Power other utilities do. When the Harrison County transfer was proposed I sent a letter to all the CAD members. After the approval, there were comments by one member that supported all my concerns. Apparently he was the only member actually standing up for what was best for the people. When I googled the CAD to speak to J.Roberts about alternatives to the rate increases, I happened upon this web site while waiting for her call back. 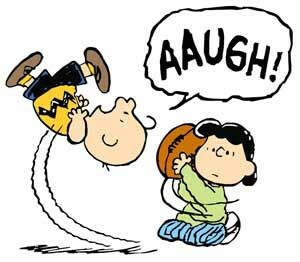 After reading one of your posts (“Rethinking the WV PSC’s Consumer Advocate Division” SEPTEMBER 16, 2013) I guess who I really need to speak with is WV CAG. The issue I would like to pursue is costs that go into our rates, being reduced. Since it is mainly out of staters that are demanding higher rates by shutting down the coal fired electricity industry, they should be in some fashion allowed to have those higher rates while giving relief to WV rate payers. About 3 years ago, the futures market price for wholesale utility purchasers of electricity was reported to increase 800% for 2015-2016 delivery. Hello??? This is a huge wind fall for the producers. 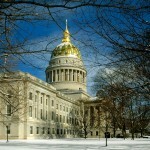 Price increases like that should be able to give relief to WV rate payers. It is just a matter of figuring out how to do that by increasing the burden of the producers and the out of state consumer. Maybe some sort of tax (severance?) increase that effects all and some kind of rebate that goes to WV rate payers??? Whatever. In the 2009 Alternative and Renewable Energy Act, there is a requirement that WV rate payers pay for all costs not covered by the ending(ed) grants of the expensive wind mill generation. Yet most of that power is sold out of state. This has to stop.